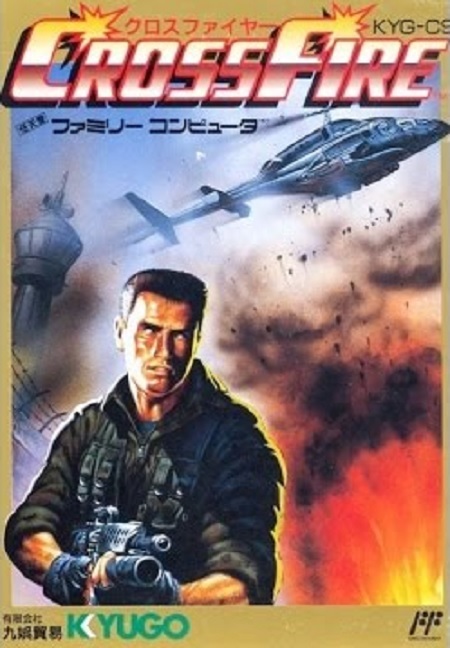 CrossFire is a 2D action game similar to Contra, developed and published by Kyugo Boueki and released only in Japan for the Famicom. At the beginnning of the game, you are dropped off by a helicopter with only your hands to defend yourself. Guns, rockets, health and 1UP's can be found by breaking open crates. You can also regain 1 HP for every gun you pick up.